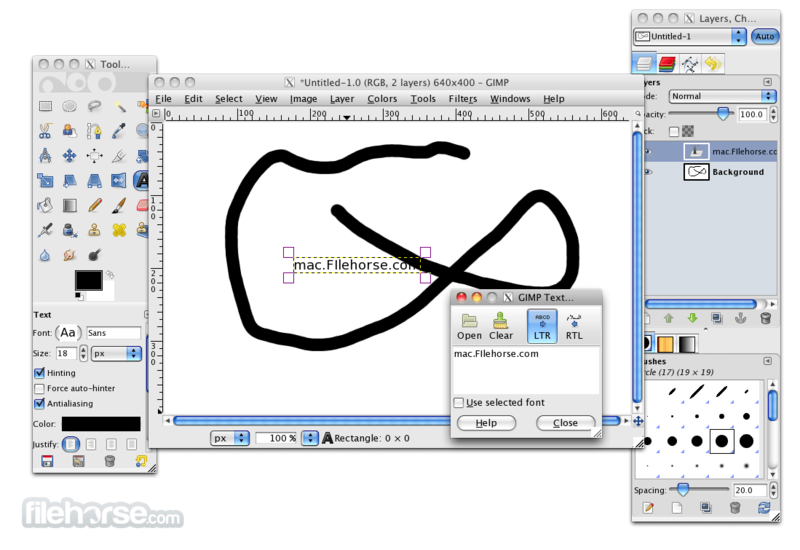 GIMP for Mac (GNU Image Manipulation Program) is a freely distributed piece of software suitable for such tasks as photo retouching, image composition, and image authoring. It is a powerful piece of software with capabilities not found in any other free software product. It can be used as a simple paint program, an expert-quality photo-retouching program, an online batch-processing system, a mass production image renderer, or an image-format converter. 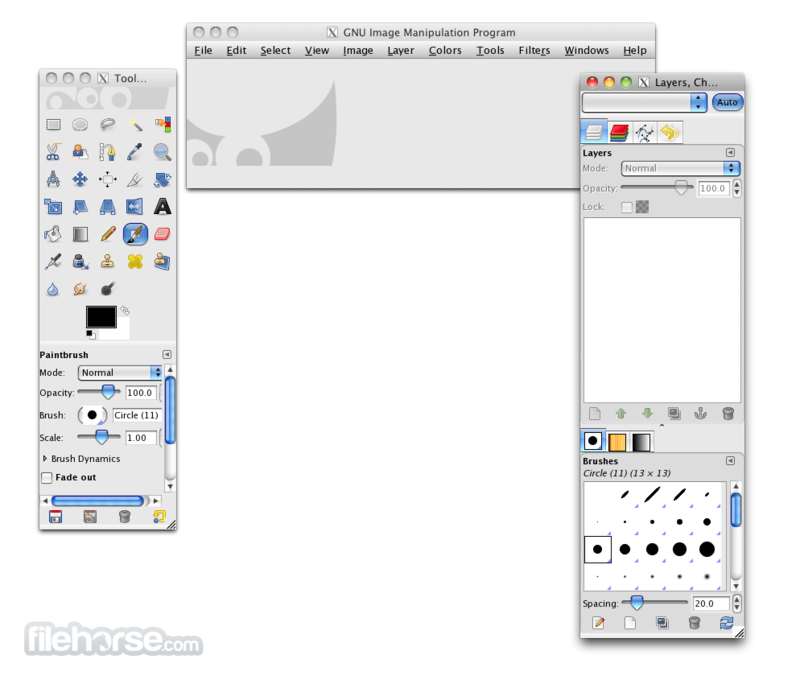 GIMP for Mac is modular, expandable, and extensible. It is designed to be augmented with plug-ins and extensions to do just about anything. The advanced scripting interface allows everything from the simplest task to the most complex image-manipulation procedures to be easily scripted. Each task requires a different environment and GIMP for Mac allows you to customize the view and behavior the way you like it. Starting from the widget theme, allowing you to change colors, widget spacings and icon sizes to custom tool sets in the toolbox. The interface is modulized into so called docks, allowing you to stack them into tabs or keep them open in their own window. Pressing the tab key will toggle them hidden. Numerous digital photo imperfections can be easily compensated for using GIMP for Mac. Fix perspective distortion caused by lens tilt simply choosing the corrective mode in the transform tools. Eliminate lens' barrel distortion and vignetting with a powerful filter but a simple interface. GIMP for Mac includes a very unique support for various input devices out of the box. Pressure and tilt sensitive tablets, but also a wide range of USB or MIDI controllers. You can bind often-used actions to device events such as rotating a USB wheel or moving a MIDI controller's slider. Change the size, angle or opacity of a brush while you paint, bind your favorite scripts to buttons. Speed up your workflow! 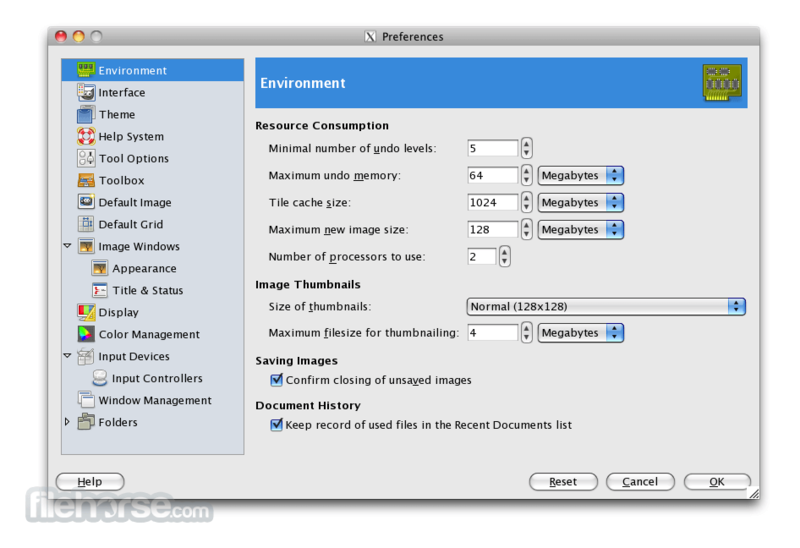 The file format support ranges from the common likes of JPEG (JFIF), GIF, PNG, TIFF to special use formats such as the multi-resolution and multi-color-depth Mac icon files. 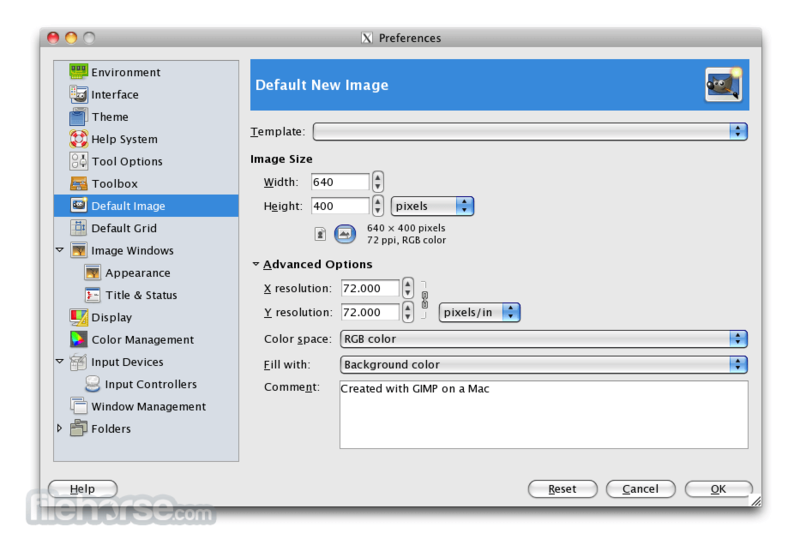 The architecture allows to extend GIMP's format capabilities with a plug-in. You can find some rare format support in the GIMP plugin registry.